Honnemaradu is a small village some 400kms from Bengaluru (Via Shimoga-Sagara-Talaguppa-Honnemaradu), with few local residents and backwaters all over. 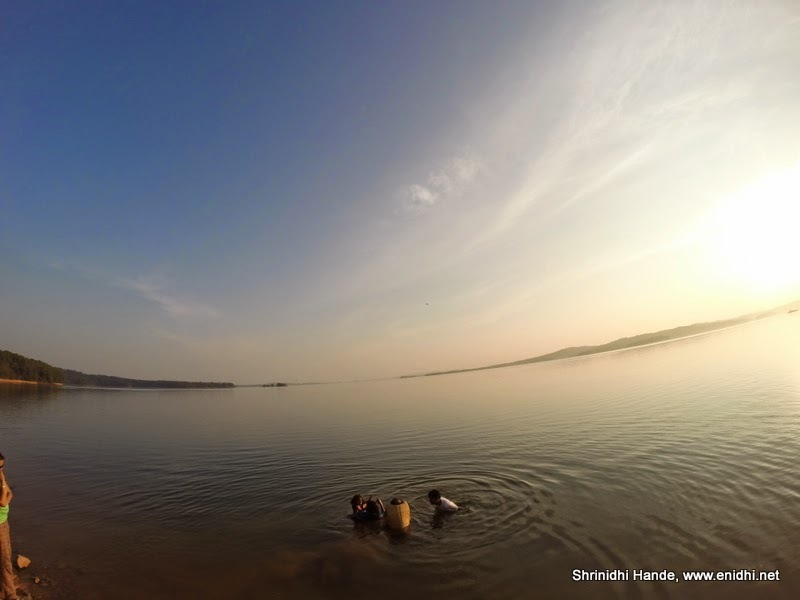 Honnemaradu is famous for never ending view of water (it is backwaters from Sharavati river, after Linganamakki dam was created)and scenic sunset view. It is possible to visit Honnemaradu as a casual visitor for couple of hours when you're in the area (while returning from Goa, Jog falls and other nearby places) or alternatively you can come and camp in Honnemaradu and spend a weekend at leisure here. The never ending water looks eye catching. Organizers of Honnemaradu adventure offer free boat rides to visitors- even to those who are not staying with them. Roads to Honnemaradu (last 8kms) continue to be bad. Because the roads are bad and you'll be driving slow, it feels like forever to reach the place. But it will be worth the effort once you reach there. We could drive through in a Maruti 800. Also note that now there's direct train all the way till Talaguppa from Bengaluru (Train No 16227, Talguppa express). You can catch this to visit Honnemaradu. Good information and some superb sunset shots! Magnificent views! Happy new year to you too. beautiful collection of sunset pics ! Could you please share the contact details and cost of stay at the Adventure camp in Honnemardu? Awesome pics! left me speechless. Thanks Fredamans, Mumbaiiteanu, Ladyfi, Mahesh Divya, Jim..
@Rainbow: I will check and update. We only did a short visit.